I’m doing Craft Lightning Valentine’s Edition this week! 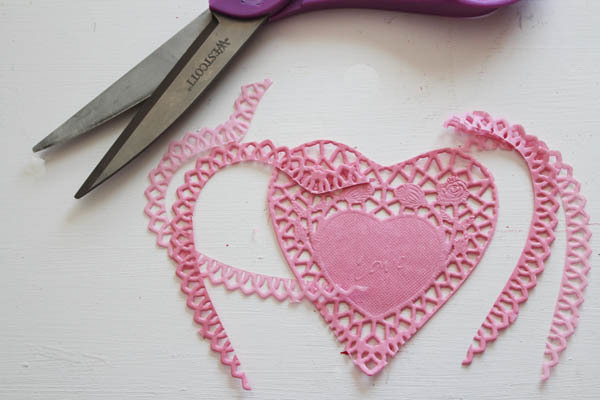 Angie from The Country Chic Cottage and I are sharing crafts that take 15 Minutes or less, and we’ve found an awesome group of bloggers who are sharing fast Valentine’s Crafts this week as well. 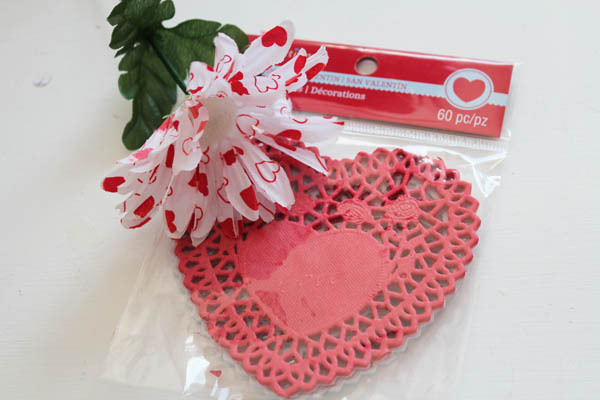 You can check out the Doily Earrings I shared on Monday, or the Duck Tape Valentine’s Frame I shared yesterday. 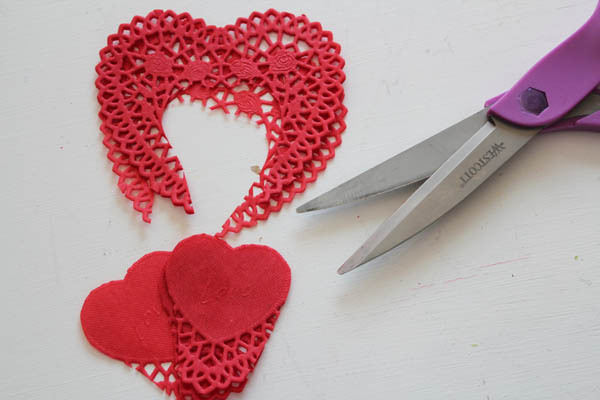 Also go see the Craft Lightning Valentine’s Day roundup from yesterday… some seriously awesome fast and simple Valentine’s Day Crafts! 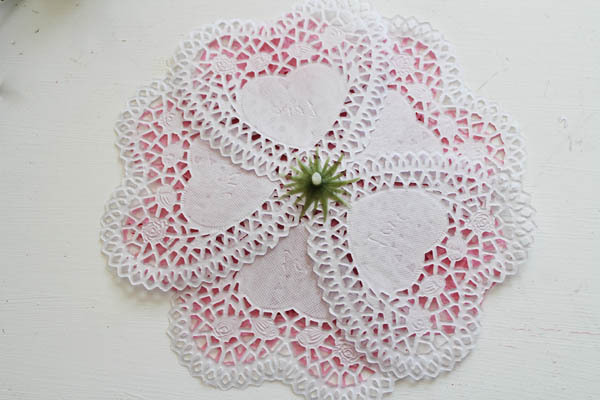 Today I’m sharing a super simple Doily Flower. 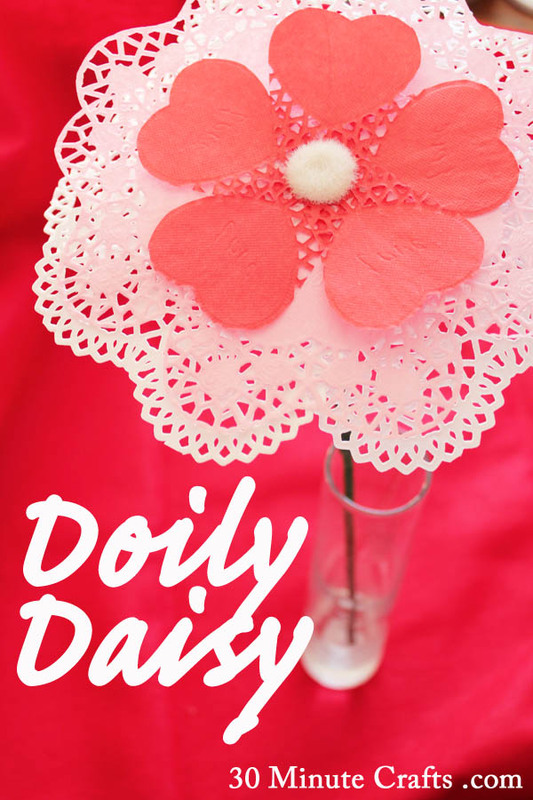 This Doily Daisy is easy to make. I made mine with three layers, but if you want something even more simple, you can have just one or two layers. Start by cutting your doilies. I cut the center out of the red one, leaving the bottom so that I could add the petals to the flower. I stacked all 5 and cut them all out at the same time. 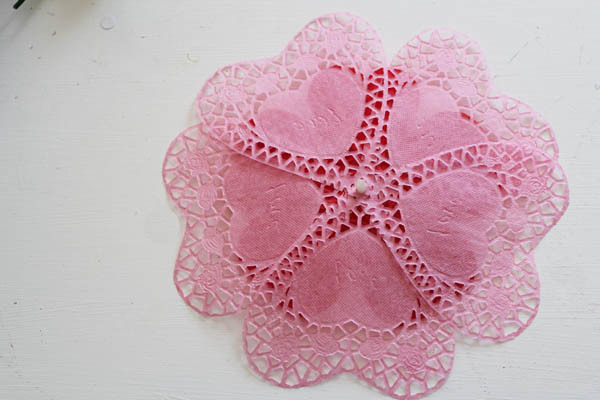 Then I did the same with the pink doilies, trimming off the outside, but making sure to leave the point at the bottom. Again, I cut all 5 at the same time. 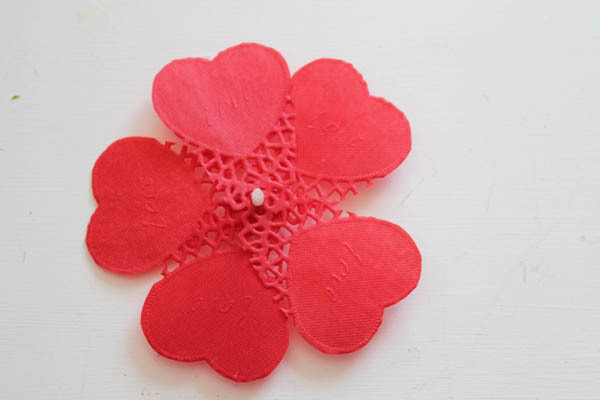 I disassembled my flower from the craft store, pulling the center out and removing the petals (if you want to do something fun with the petals, go check out my “Will you Beer My Valentine” project [which also works well with soda]). I flipped the center upside-down, then put the red center pieces on by inserting the stem piece through the bottom hole one the doily. I placed them in a spread-out pattern. Then I added the pink petals. I staggered them so that the center of each pink petal was roughly lined up with where the edges of the red petals met. 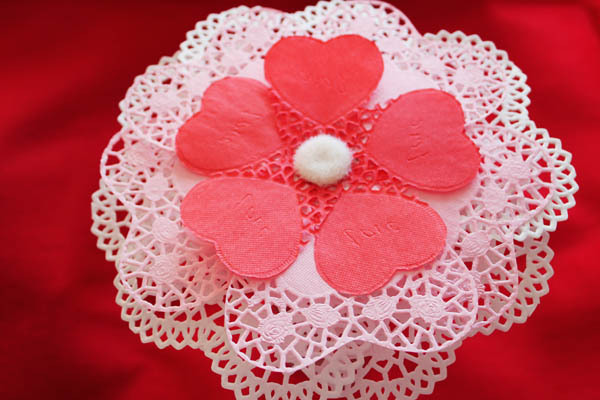 This gives the flower a fuller look than stacking the doily flower petals right on top of each other. I repeated this process, this time adding the un-cut white doilies. Then I added the green piece from the flower back on. I put the stem back on… and my flower was done! However, this finished flower is significantly larger than the original, so the stem felt too small. I added a larger stick next to the stem, and secured it in place with floral tape, so that the flower would have a stem that seems more in keeping with the size of the flower.